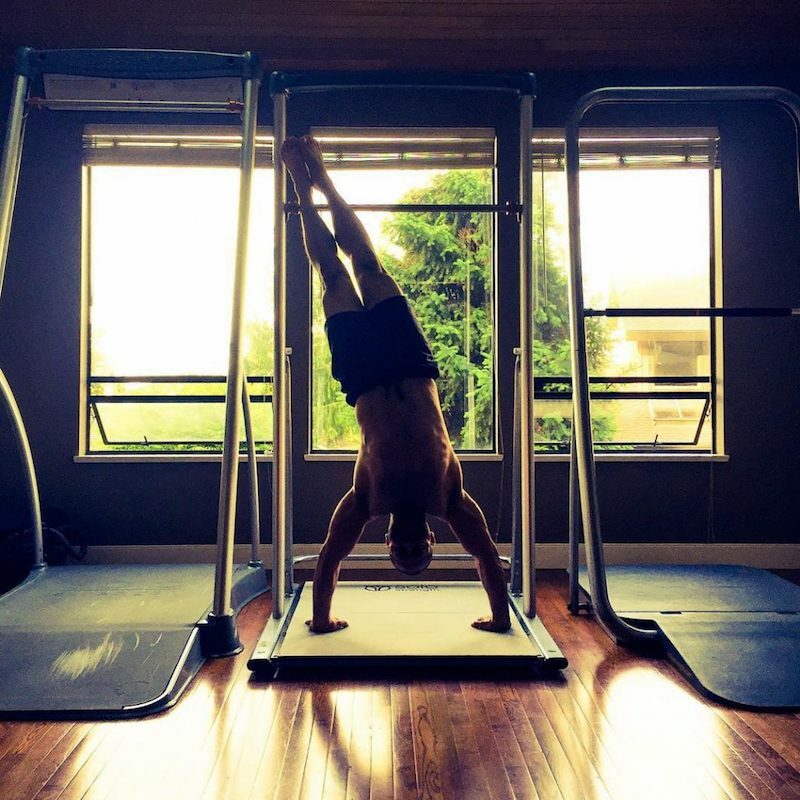 SoloStrength offers full-body workouts to help you achieve amazing fitness results. Easy to set up and safe to use for all ages! 4 Height options, see Specs below. Ultimate Freestanding Model with Base available here. 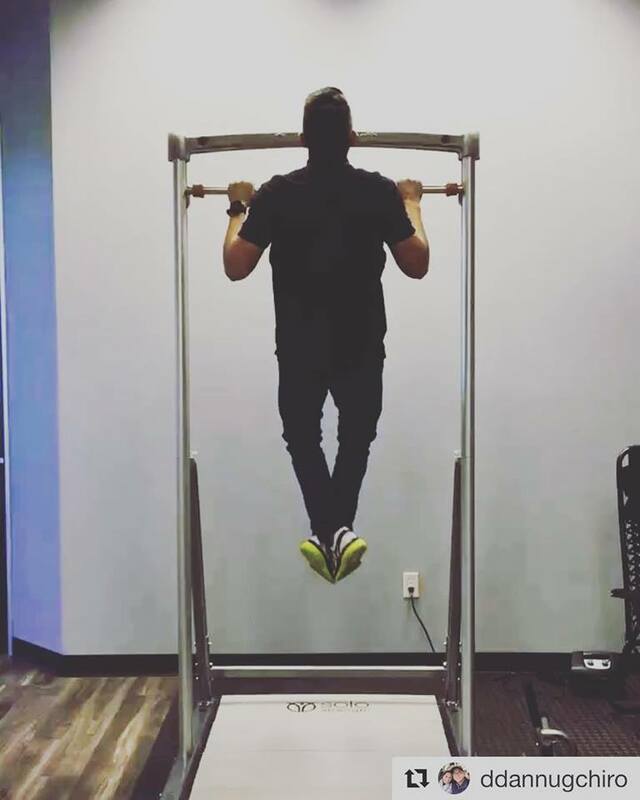 SoloStrength offers full-body workouts to help you achieve amazing fitness results. Compact, fast, and efficient bodyweight exercises are key components of lean muscle gain and effective fat loss. 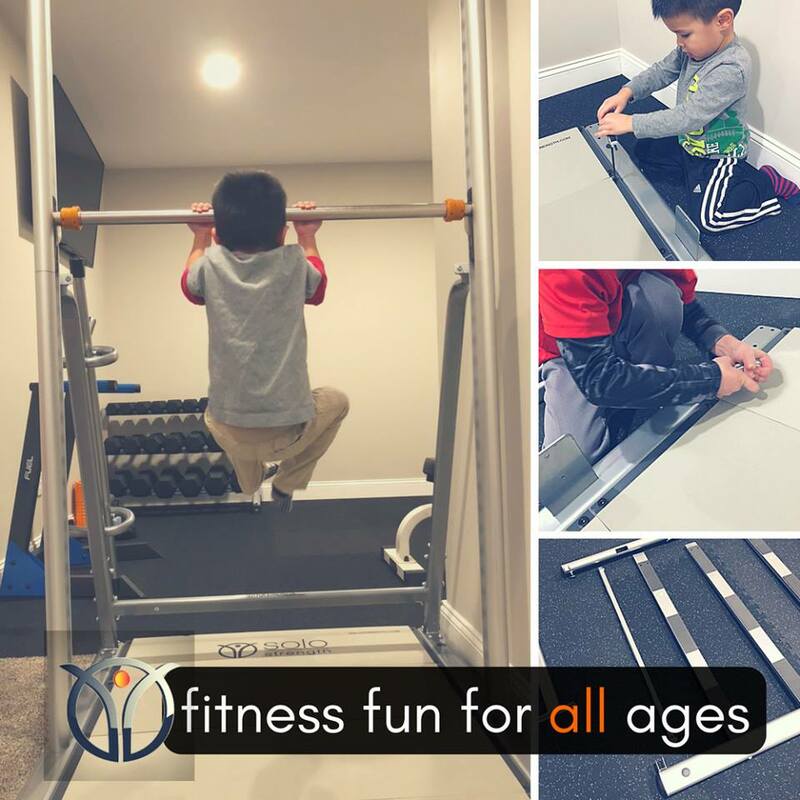 Easy to set up and safe to use for all ages, get fit faster in the comfort of your own home today! Total weight assembled 32 lbs. Shipping box dimensions: 47″x13″x10″ (35 lbs). Maximum suggested user weight 450 lbs. Get a 1 Foot Height Extension here. 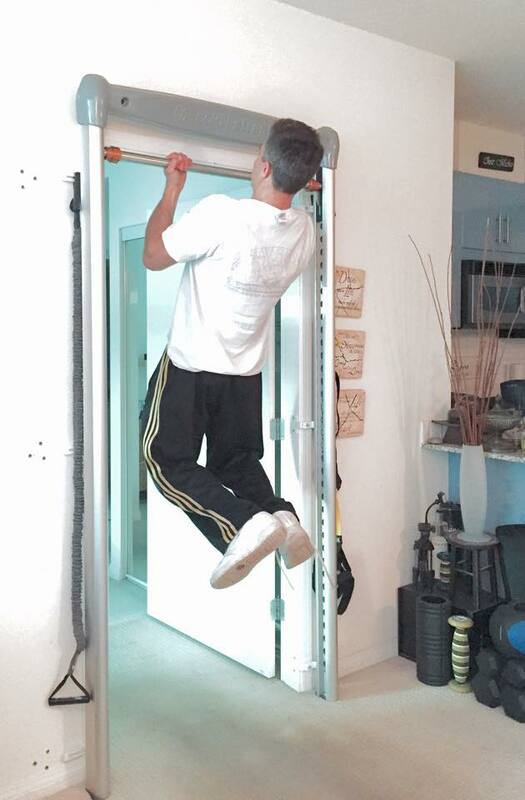 Doorway Installation Video from SoloStrength Lifestyle Products on Vimeo. Will this fit my doorway? 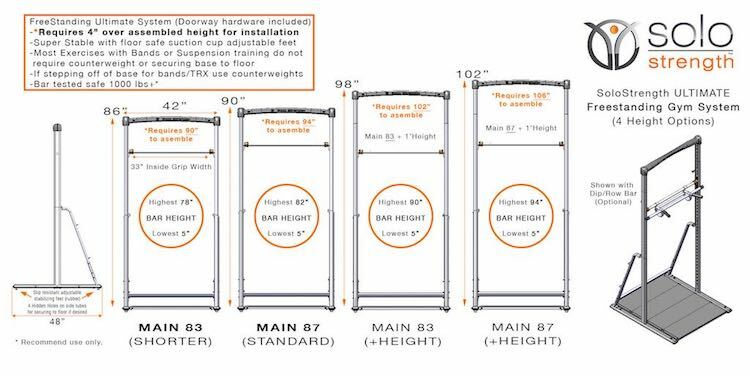 The SoloStrength Doorway System can fit doorway widths between 28-36 inches – with 5″ or more outer frame around doorway (measured from inner doorframe to wall). 3” is the minimum width. What happens if I don’t have 5” around the doorway frame to the wall? If One (or both) outer frame widths is 4", the minimum doorway width is 29” (to max 36”). If One (or both) outer frame widths is 3", the minimum doorway width is 30” (to max 36”). 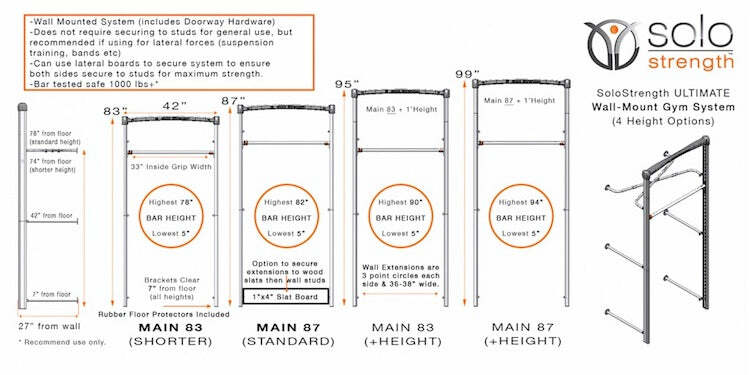 SoloStrength Main 87 requires inner doorframe height to be 77.5 inches. 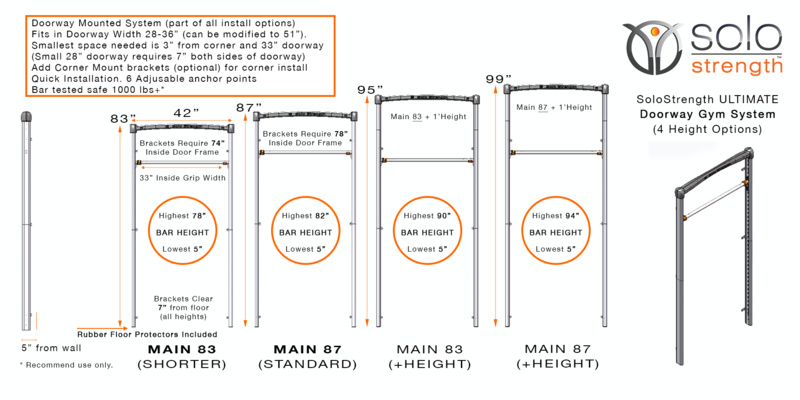 SoloStrength Main 83 requires inner doorframe height to be 73.5inches. Ships to over 70 Countries Internationally direct to door or Fedex depot! Order now! Every SoloStrength® purchase comes with a constantly increasing online database of reference material, exercises and complete training programs to challenge and progress…as you do.